Ice Flies? Ice Jigs? Ice Lures? Ice Fly: A lure made up of feathers, dubbing, and hooks. Ice Jig: A painted lure made up with lead, steel, and a hook - weighing under 3 oz. and small in size. 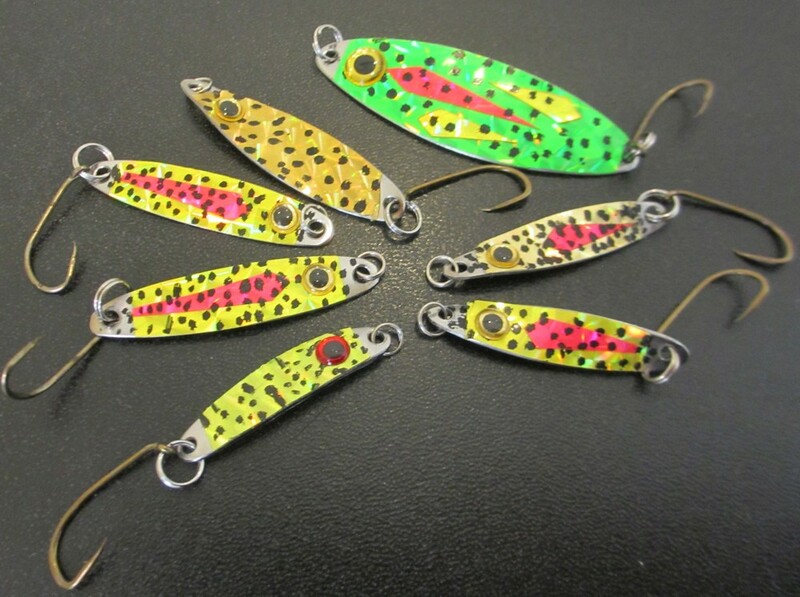 Ice Lure: A large lure (over 3 oz.). Heavy for the purpose of plunking or pounding the bottom of the lake to kick up a cloud of water to attract the fish. I personally like Ice Jigs because they are easy to make and decorate by using powder coating or fish tape. One way to make ice jigs is by using a stainless steel pizza cutter blade. (You may purchase pizza cutters at your local dollar store.) 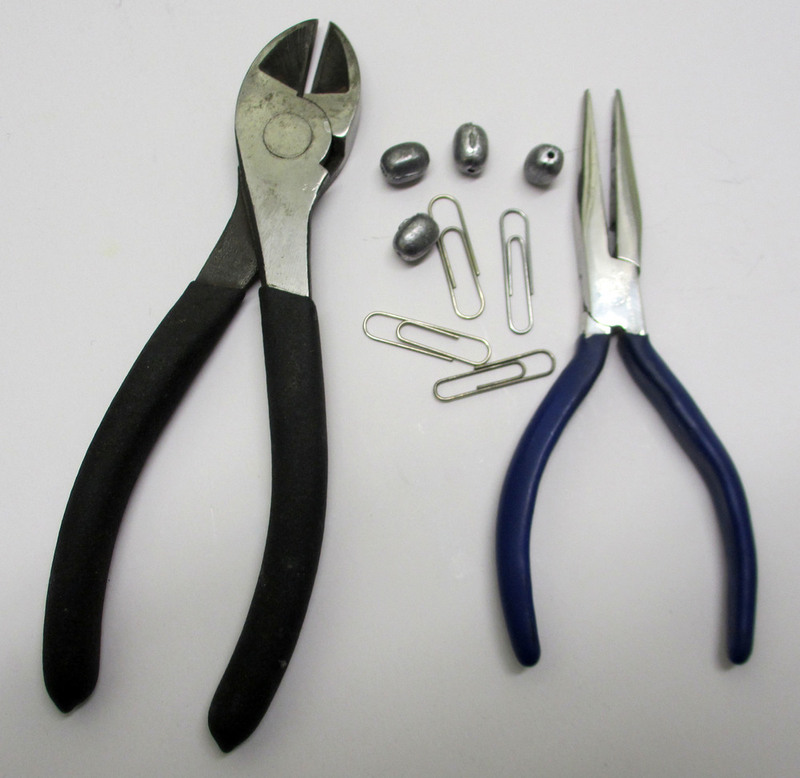 Knock out the center rivet and use a pair of tin snips to cut them out. Use a one-inch belt sander to smooth the edges. Embellish with sparkle tape (fish tape) and a #8 hook. 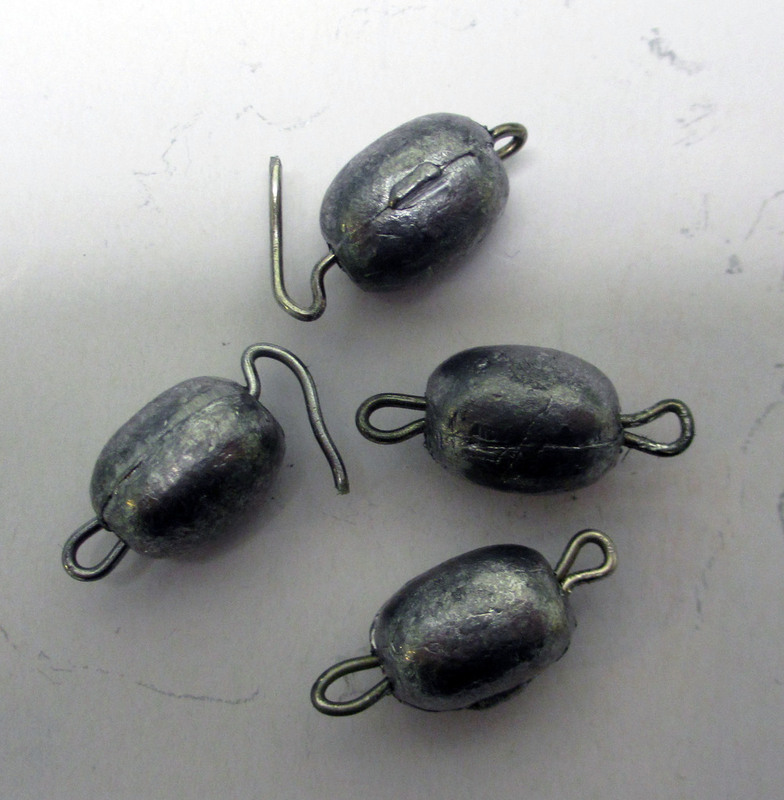 I’ve had a lot of success in making my own ice jigs (see photos), and they work well while fishing through the ice.